Believe it or not, Spring will soon be on its way! And new WC Sire Bluesville colts will start to hit the ground! in their show season debuts! or to inquire about his available get. but all our horses and riders are looking forward to what the 2019 show season will bring! Look for Courtney Stefanik and her new mount, Rosewood's Once Upon a Time, in Amateur Five Gaited!!!!! 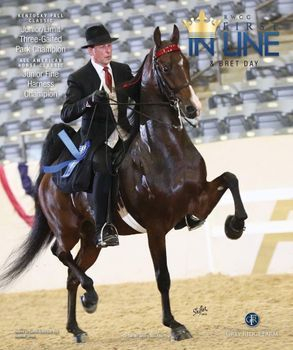 Congratulations to Saddlebred Rowe LLC and Dr. Amie Rowe on her acquisition of RWCC First In Line! Look for this team in Amateur Park!! see all the most recent and up to date info on our Facebook page.